← Worst MLB Hats Ever Made? Or Best? TEAM BELLRINGERS!!!! I confess, I’ve never been a “fantansy” champion, so I’m in no place to judge a guy, in 2013, rockin’ a 2008 sticker on his whip. Might’ve been the best moment of this cat’s life. 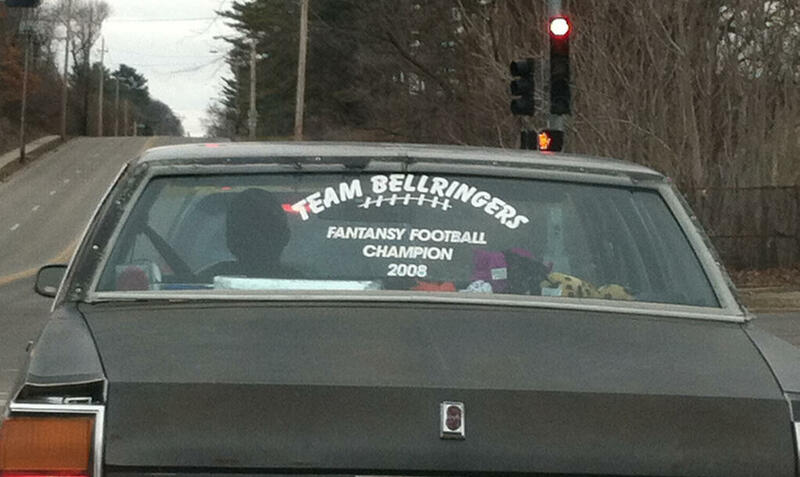 This entry was posted in Cars and tagged fantasy football sticker. Bookmark the permalink.